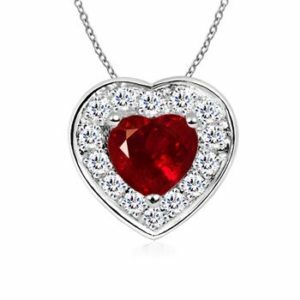 Most people ask us whether they can wear ruby gemstone as pendant or necklace and would wearing ruby gemstone as pendant or necklace proves equivalently benevolent or effective as adopting them in rings. However, there is no exact answer to this question persists, you will generally get vague answers from people based upon their own experience or hearsay. Thus, you should not trust or believe in it; now the big question emerges, then whom should you count upon to obtain the accurate answer. In order to know the right answer,’ you should ask this question to a well-qualified gemologist or astrologer who can proficiently tell you whether you should adopt ruby gemstone as pendant or ring after deeply analyzing your horoscope or birth chart. 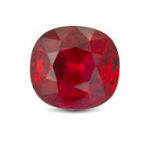 Generally, astrologers or geologists ask people to wear a ruby stone (Manik Ratna) or another gemstone in the fingers. The reason behind this practice is that as per astrological rules the focal point of our brain is situated at the fingers. Hence wearing ruby or any other stones in fingers produces more influence results in the lives of a human compared to wearing a pendant or necklace. 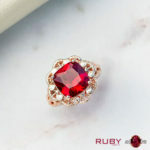 Consequently, it is suggested by the astrologers to wear the ruby stone in the form of a ring to perceive more benefits on their respective lives. 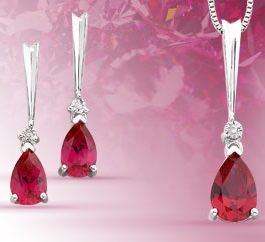 Although, it does not altogether mean that a person can’t wear ruby gemstone as a pendant or necklace. How to wear ruby gemstone (Manik stone) as pendant or necklace: Since we know that wearing ruby or any other gemstone is more significant than wearing it in the form of pendants. 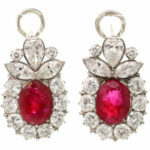 Hence, while wearing a ruby stone pendant one should buy a double weighted ruby stone as compared to the ruby ring. Wearing a double weight ruby gemstone compared to ruby gemstone ring one can avail the equivalent benefits as provided by this gemstone when it is adopted in the ring. 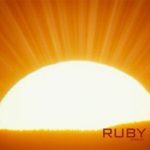 Outcomes of wearing ruby gemstone pendants: Since the ruby stone is associated with the substantial planet Sun which is acknowledged is the most powerful planet among the nine planets. 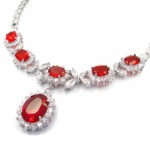 Hence, wearing sun blessed ruby gem in the form of pendant bring enormous positive results for all human beings. It showers instant wealth, health, foster wisdom and overall personality of a person. It also proves favorable for all those human beings who are suffering from blood-related diseases and all types of mental problems. The people who are in the following profession, like political administration, the businessman should opt for this gemstone to get success in the respective fields. Rather than all of the above-listed benefits, one should wear it in the form of a pendant after seeking advice from an astrologer. What Are The Remedies of Weak Sun in Horoscope?